The 10 Manhattan Prep GMAT Strategy Guides included in this set are designed to be clear and comprehensive. Consistently reviewed by students as offering the opportunity for dramatic score improvement, each book delves deeply into a single area of the exam, providing detailed and specialized instruction. When used together, these guides produce a substantial learning impact, helping students develop all the knowledge, skills, and strategic thinking necessary for success on the GMAT. Students will benefit considerably from high-level resources such as:-Six full-length, computer-adaptive practice exams -Over 200 additional free practice questions -New content providing strategies for solving problems more effectively -Topical sets of Official Guide practice questions and detailed answer explanations. 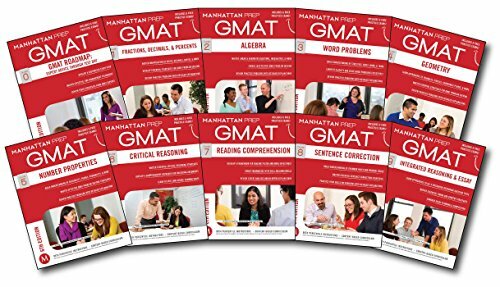 Purchase of this set includes one year of access to Manhattan Prep's online computer-adaptive GMAT practice exams and Question Banks.